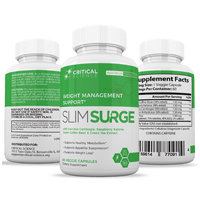 Slim Surge is an over the counter diet supplement created to help with diet support through appetite suppression, a healthy metabolism and weight loss in general. 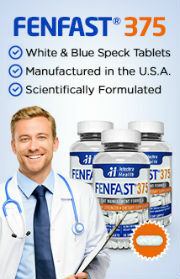 The idea behind the use of this product is to make it easier for a person to naturally eat less. After all, if you’re not feeling the hunger pangs, you won’t be as inclined to overeat. At the same time, Slim Surge is also formulated to make it easier for people who are already eating less to also burn more fat. By bumping up the metabolism it could potentially make it possible for the body to burn through more calories. The more calories you burn, the fewer are stored as fats. Moreover, if you create a calorie deficit, it means you will burn through body fat instead of food for energy. Of course, all these advantages are assuming that Slim Surge lives up to its claims. To understand whether or not that might be possible for you, it’s a good idea to have a closer look at the ingredients. Get to know what they are, what they are supposed to do and what science has actually shown them capable of doing. After all, it’s one thing for a pill manufacturer to make claims about a product. It’s something else to have reputable studies to support those claims. At the time this review was written, the Slim Surge ingredients were: Green Coffee Bean, Raspberry Ketones, Garcinia Cambogia, Caffeine Anhydrous and Green Tea. It is clear from this list that many, if not all these substances were selected due to the media hype they have received as opposed to their actual merits as diet pill ingredients. While all these ingredients have indeed been researched, they are far from having been proven. The only ingredient they could label as having scientific proof behind it is the caffeine anhydrous. Caffeine is indeed proven as an energy booster and it can help users to achieve better focus. 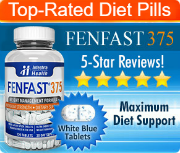 This is a surprisingly helpful benefit for many dieters who buy diet pills online. It can give them the drive they need to stick to their efforts. Caffeine can also help to boost their performance when they do their workouts. This has the potential to give them improved results. The green coffee bean, garcinia cambogia and green tea all have some research, but not enough to label them as proven. Of those ingredients, it is the last one on the list, green tea, that has the most promising research behind it. That said, it needs to be used in certain quantities in order to produce those benefits. As it is the last ingredient on that list, it is unknown whether or not it has reached that minimum threshold in this product. Before using this product, it is highly recommended that you speak to a doctor.